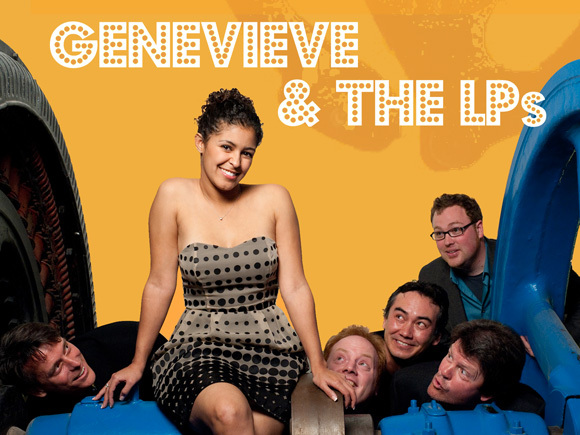 A new voice in the musical community, Genevieve and the LPs are a truly unique ensemble. Offering the highest level of entertainment and musical quality by blending elements of jazz, blues, soul & R&B, funk, afro-cuban, latin, pop, and acoustic music into one irresistible sound. Genevieve & the LPs make it happen! Genevieve – Gen is a true talent and a great presence. A U of A Alumni and a veteran of the U of A vocal studio and various local and regional groups. Gen is a truly vibrant and honest performer and a pleasure to listen to and watch. Marshall Jones – Guitar Player and Tucson native influenced by everyone from Jimi Hendrix to Wes Montgomery to Allan Holsworth to Joe Pass. A true appreciator of all styles of music from all around the world. His keen interest in music is reflected in his writing and arranging and is an insightful perspective into the fusion of genres. One might also catch Marshall around town doing sound for various groups as he also one of the Southwest regions best engineers. Richard Katz – A great and truly diverse performer that can be seen around town and in the region with groups from all genres jazz to classical. Influenced by an array of artist including Bill Evans and Michel Camilo. Also a Tucson native, Rich keeps busy writing, arranging, and performing with and for a wide variety of artists. Rob Paulus – A true multi-instrumentalist on guitar and bass, Rob plays his other string instrument, the violin, with Genevieve’s group. Having performed all forms of music from folk to jazz since a young lad, Rob pulls from a wide variety of influences to impart a soulful and emotionally evocative character to the music. Aaron Emery – Mr. Emery is a fixture in the Tucson music scene performing with many great local and International artists. He is a Graduate of Northwestern University and the University of Arizona. Aaron’s broad background and long list of influences give him a great perspective and truly set him apart in the scene. Sam Eagon – An up and coming bass player of all styles in the Southwest region. Performing with a wide variety of artists and ensembles from all over the world Sam pulls form his varied influences to create a soulful and effective groove in any situation. One can catch Sam wearing few different hats around town as he is the co-owner of LandMark Sound Recorders, a small recording studio in Tucson, and the Owner and craftsman of Land Mark Drum Co.
Trumpeter/flugelhorn/composer Loran Cox resides in Phoenix, AZ. As bandleader of the acclaimed Dallas-based 7-piece Latin jazz group “Mambo Combo”, performances have included South-by-Southwest Music Conference (SXSW) and National Academy of Recording Arts and Sciences (NARAS) “Grammy Sessions Live”. 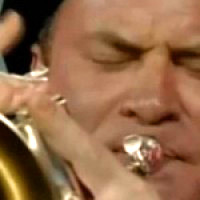 As a jazz trumpeter in Miami, Loran has performed with Grammy, Latin Grammy and international recording artists including Luis Enrique, Lefty Perez, Tito Puente, Jr., Lalo Rodriguez, Israel “Cachao” Lopez, Nestor Torres and Desmond Child. Loran has appeared on television shows including “Sabado Gigante”, “In Control” and “La Katimba”.